The book will be written and published in French language first. but If we reach our goals below then I will be able to translate it in English! 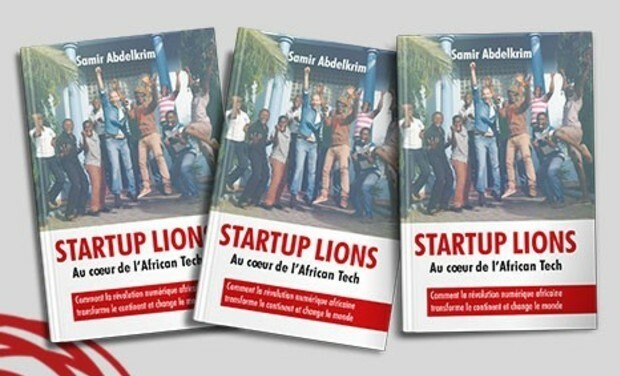 ++ If the fund-raising reaches or surpasses 20,000 euros: we will publish and offer for free 400 copies of Startup Lions to partner universities, hubs and incubators based in Francophone Africa! 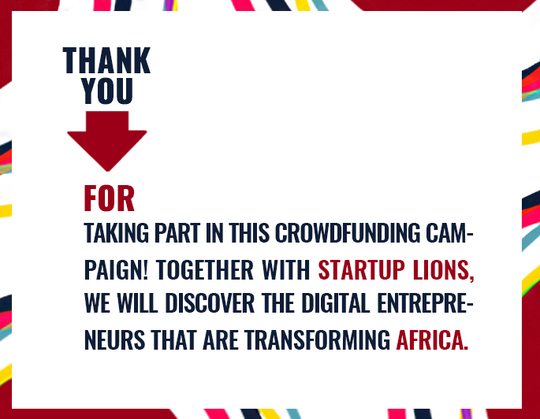 +++ If the fund-raising reaches or surpasses 32,000 euros: we will publish and offer for free 1000 copies of Startup Lions to partner universities, hubs and incubators based in both Anglophone and Francophone Africa! 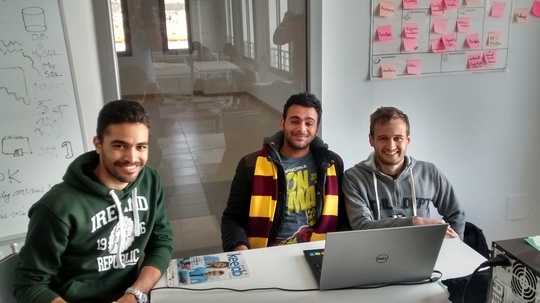 Startup Lions is the result of field work which started 2 years ago. 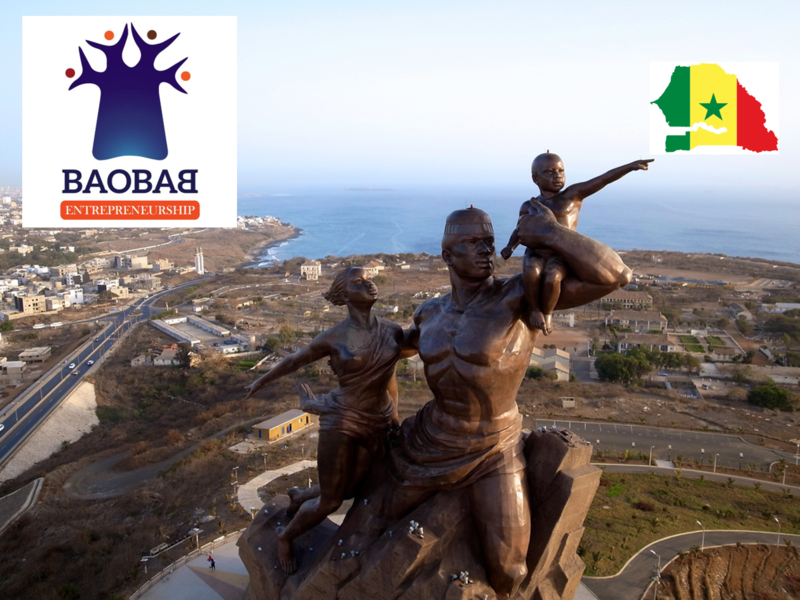 With, as the first key stop-over, Dakar. In May 2014, I left and immersed myself in African digital ecosystems, within the context of a first project called #TECHAfrique. 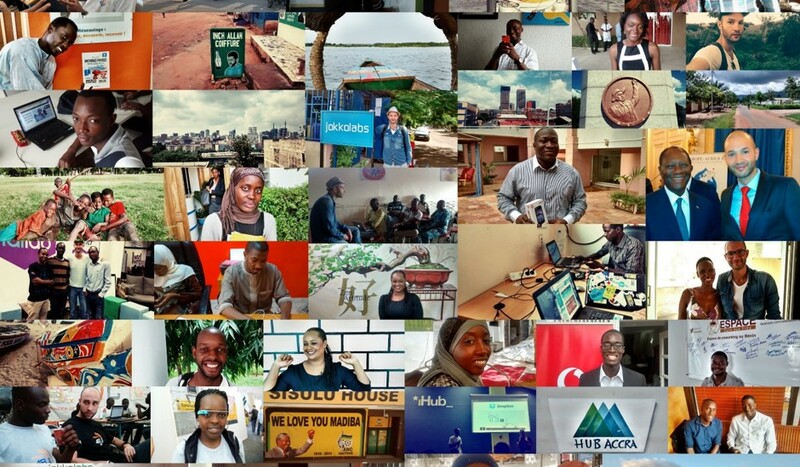 In Senegal and in Kenya, in Botswana and in Tunisia, passing through Ghana, Nigeria, Ivory Coast and Madagascar, I spent the last two years visiting almost 20 African countries in order to meet the startup communities and to understand their dynamics. I spent many month on the ground - almost a year and a half - discovering the best new technologies and African talents that are at the heart of innovation, and I casted a light on them through my articles, or during the big international conferences to which I was invited as a speaker, such as Austin’s South By South West in 2015. In incubators, technological hubs, coworking spaces and other FabLabs which I have explored in Africa, I got the opportunity to talk to hundreds of young entrepreneurs who fight in order to bring solutions to everyday problems, in all sorts of fields: in health, agriculture, finance, transportation, and many others. I met with them, and took a lot of time to interview them, listen to them, and sometime support them in their projects. In total, I’ve written hundreds of articles on my blogs, as well as in the national and international press (Le Monde, Les Echos, etc.) on these brave and passionate entrepreneurs who, despite sometimes facing huge difficulties, decided to take a risk in order to have a positive impact on their town, their country, and as a result on their continent, thanks to digital technology. It is this adventure that I would like to pass on to you through a book of almost 200 pages, Startup Lions. I will take you on a discovery of these entrepreneurs and changemakers, and of the startup ecosystems in which they evolve. 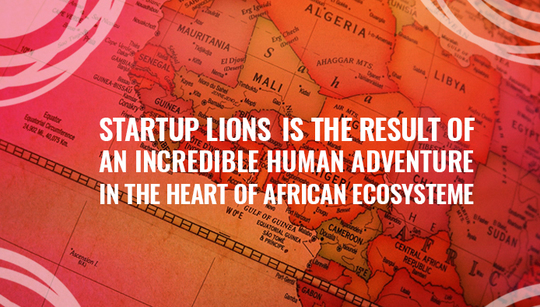 With Startup Lions, join the African startup revolution! 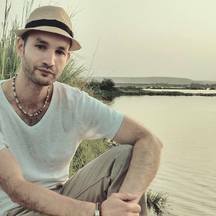 My name is Samir Abdelkrim, I am an entrepreneur, a consultant and a blogger specialized in digital innovation in Africa, and more broadly speaking in emerging countries, with StartupBRICS.com, a consulting company in innovation that I founded in 2013, which in 3 years became the reference francophone media for startups in emerging countries. I am also a tech columnist in several daily newspapers such as Le Monde, Les Echos and Huffington Post (you will find below a selection of my columns, as well as some of my speeches in conferences). 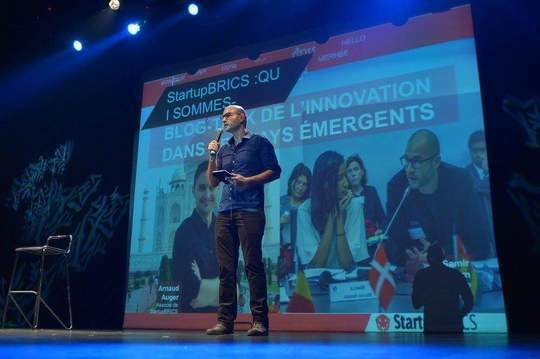 I regularly act as a speaker in conferences on innovation which take place in Europe, in the United States, in Africa or in the Middle East, where I share my experience on tech in Africa, as for instance Austin’s South By South West Festival, Apen Institute, the United Nations, the Global Entrepreneurship Summit, the New York Forum Africa, Startup Africa Summit or the Banque du Liban Accelerate in Beyrouth. I fervently share a double conviction: at a time where internet is democratizing, I am convinced that the Silicon Valey’s monopoly on rupture innovations, as well as the attraction of the best digital talents, is in the process of disappearing. Today, talents are everywhere and it’s possible to innovate anywhere. That is the reason why I am convinced that the next big digital revolutions will take their roots in Africa and in African cities. I therefore decided to take this long journey on the field in order to meet and to write about these young entrepreneurs who embody this shift. Those who, by choosing to innovate in order to better and transform their lives and those of their communities, have already started changing the world. - What is the real story of M-PESA and why did Kenya impose itself as the champion of tech in Africa? - How did a Ghanaian startup become finalist of TechCrunch Disrupt, in the heart of the Californian Silicon Valley? - Did you know that Rwanda is already generalizing the use of civilian drones to transform its territory? - Will the next Amazon or the next Uber be Adfrican? Moreover, did you know that the first African 3D printer was created in Togo, and made from electronic scraping? - And that in less than 5 years the number of African technological hubs went from around 10 to more than 150? 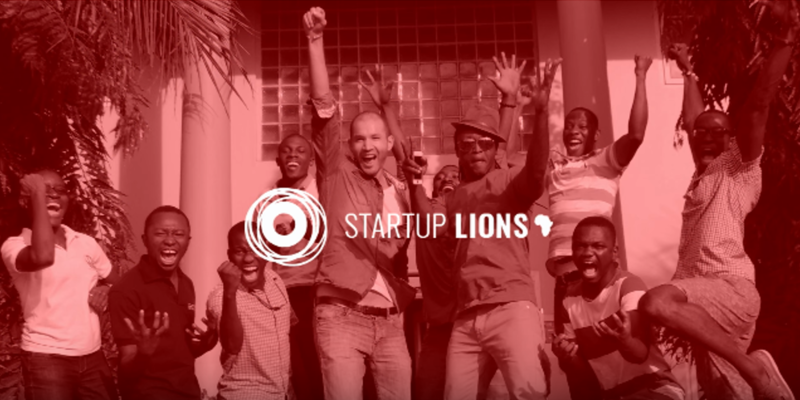 Startup Lions will bring you answers on the big revolutions of an African tech scene, which is very young and yet already already moving really fast. 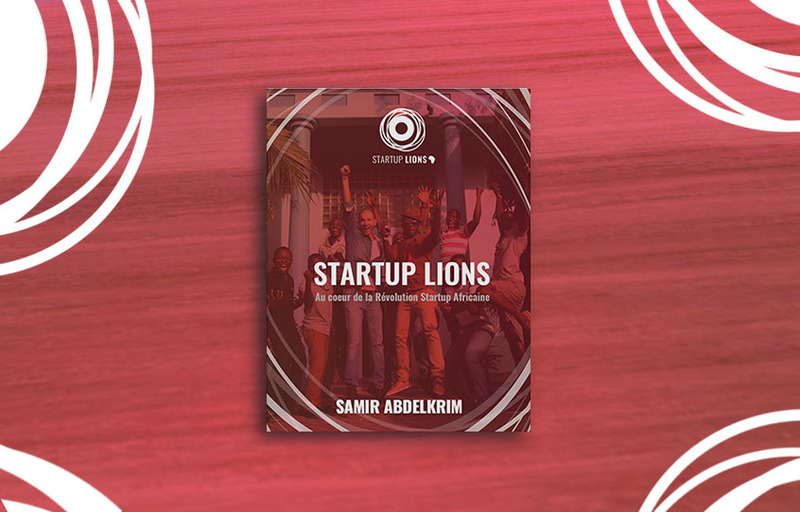 Startup Lions is also a book where I share my experience: you will discover the story of incredible young entrepreneurs which have inspired me during my travels. Every day, they reinvent their destiny. They will explain to you their successes, challenges, choices and hopes. Finally, Startup Lions aspires to be a compass for those who wish to do business or invest in Africa: to prepare yourself for the entrepreneurship adventure in Africa, you will need the best ground work advice. These pieces of advice, I have collected them day after day from startups, investors, incubators and developers, which succeed and create value today in Africa. This book is still being written and will be ready by mid-Autumn 2016. I need your support to finalize the editing and the production of these copies which will be delivered in December 2016. 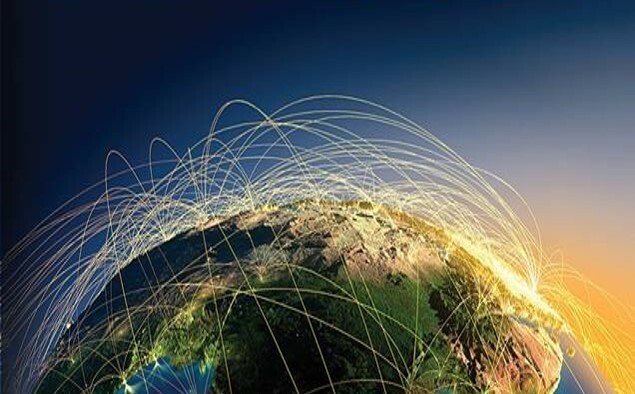 You are interested in innovation in Africa, and more broadly in emerging countries. This book is still being written and will be ready by mid-Autumn 2016, in French first. I will be also be translated in English If we reached our goals. I need your support to finalize the editing and the production of these copies which will be delivered in December 2016. If we reach our goals, I will be able to translate it in English! 100% of the amount I will collect during this collaborative fundraising campaign will be used to finance my research, writing and production of the book Startup Lions (design, printing, delivery costs in France and in the world), as well for a part of the costs of the campaign itself. If the fundraising objectives are reached or surpassed, we will go even further, because it is our ambition that, through Startup Lions, success stories from the continent would inspire the African youth and make them want to become entrepreneurs themselves! Thank you for your support, and thank you for encouraging us in our fieldwork!! :) + your name on the website in the thank-you section. SOUTH AFRICA PACK. 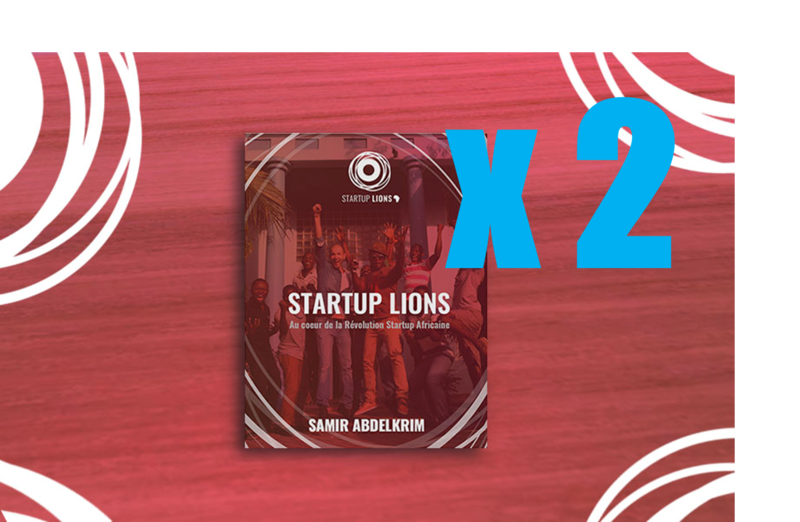 With this digital compensation, you will receive the electronic version of the Startup Lions book! 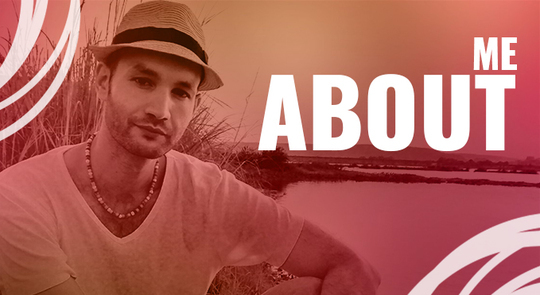 + your name on the website in the thank-you section ++ a big thank you! EAST AFRICA PACK. You will receive a paper version of the Startup Lions book with a customized thank you message inside :) + a beautiful Startup Lions sticker ++ your name on the website in the thank-you section +++ a big thank you! NORTH AFRICA PACK. 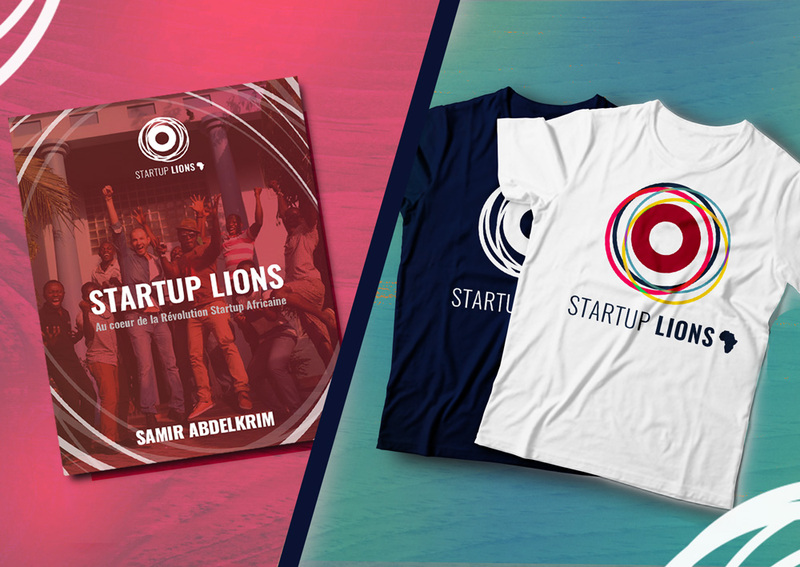 You will receive not one but TWO copies of the Startup Lions book! Ideal to gift one to your friends, colleagues or family members! 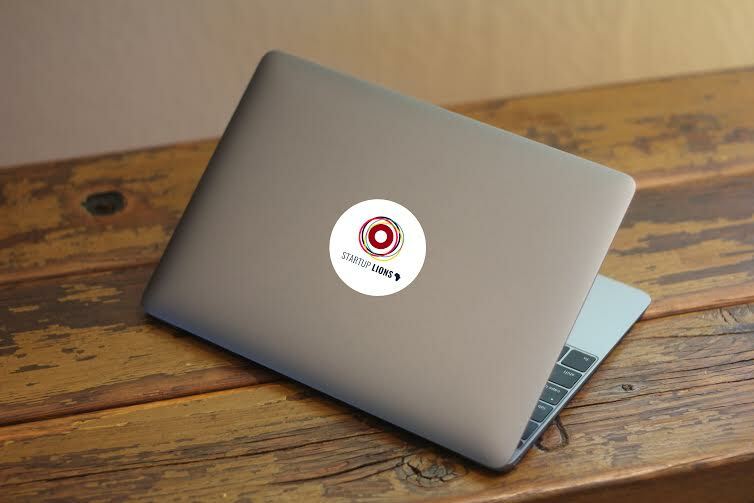 + 3 beautiful Startup Lions stickers ++ your name on the website in the thank-you section +++ an immense thank you! ALL INCLUSIVE PACK. You will receive the WEST AFRICA PACK + an invitation to the private launching event in Paris : an evening of debates and encounters with actors of the ecosystems, African entrepreneurs and innovators that I met during these two years! ++ A surprise which I will bring back from the fieldwork in Africa! SPECIAL #TECHAFRIQUE PACK. I will send you a beautiful autographed album of 40 exclusive photos taken on the field, in different countries, during the #TECHAFRIQUE journey + You will also receive the ALL INCLUSIVE PACK ++ I will also send you a small surprise which I will bring back from the fieldwork in Africa! REVERSE INNOVATION PACK. You are a company, an investor, an organization? 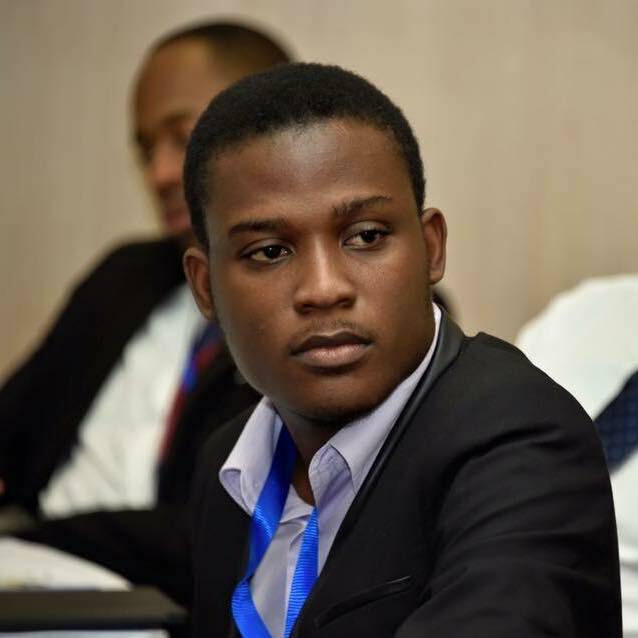 You wish to benefit from my expertise on innovation in Africa? 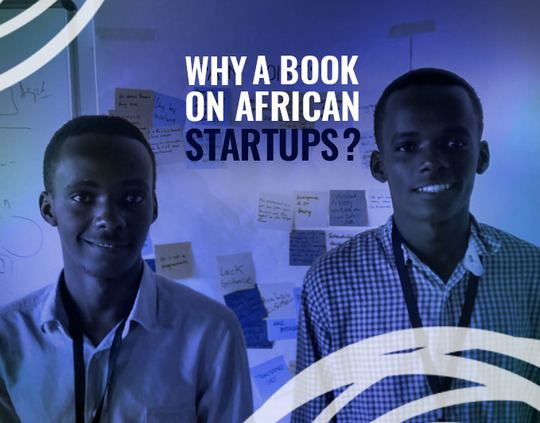 You want to direct the strategy of your group and get closer to one or several African startup ecosystems, network with the main connectors, have a vision? I will become your consultant during several days! 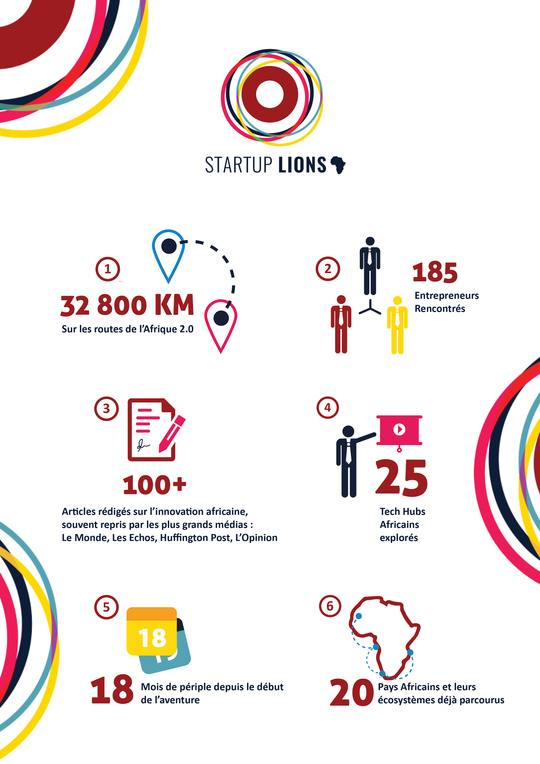 + 32 copies of the Startup Lions book offered! SUPER KIGALI PACK. You are a foundation, a big company, a multinational company or an investment fund? Become a “DISTRIBUTION SPONSOR” of Startup Lions, and boost your visibility with ecosystems! + 200 copies of the Startup Lions book will be reserved for you to supply incubators, coworking spaces, coding schools & partner African universities ⇒ your brand & LOGO will appear on the cover of each copy thanks to beautiful customized stickers ++ you will appear in the book and on the Startup Lions website in the reserved “Sponsors Promotion” section of the project! +++ the logo of your company will appear on all our communication material as well as on the StartupBRICS website during one whole year (12 months).